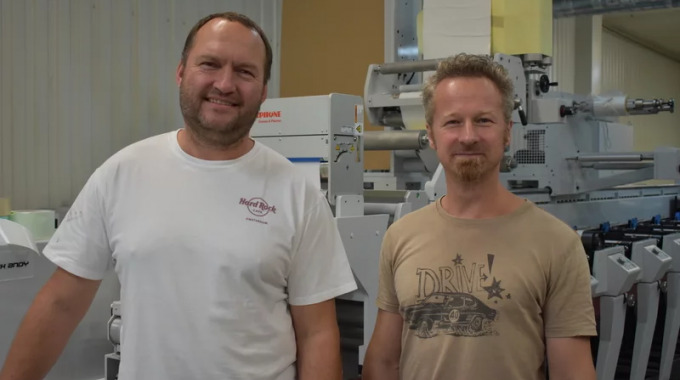 Czech label printer KZK has installed a Mark Andy P5E flexo press, as it seeks to future-proof its production and add value to its output. KZK was established in 1995 and is owned and managed by Bronislav Kuda. The printer is an existing Mark Andy customer, running three of its presses at its plant Brno. The facility has been extended to house the new P5E. With existing 6-color capability, KZK elected to specify the new P5E as an 8-color press. It has a 13in (330mm) web width and equipped with water-cooled impression cylinders, that allow it to run filmic substrates, and an overhead rail system that permits movable turn bars and cold foil units to add production flexibility. In addition, the P5E can print on the reverse side and there is a special module for producing peel-off labels. It also has two die-cutting stations. The P5E is servo driven with each plate cylinder independently powered, and the pre-registration system automatically positions them before the press runs. Full job changeovers take less than five minutes. Web tension is finely controlled from the operator’s monitor and automatically adjusted throughout the print run. Of the choice of the P5E, Kuda explained: ‘The older presses still print good quality, but we needed to invest in up to date technology that would allow us to add value. The purchase and installation were managed by Radim Krutis of Enginne, the Mark Andy distributor for Czech and Slovakia. Installation and commissioning took only one week followed by a week of initial operator training from Mark Andy’s technical team, assisted by Enginne. Once the operators and machine had settled, an additional advanced training course was arranged to familiarize KZK with the full added-value capabilities of the P5E. 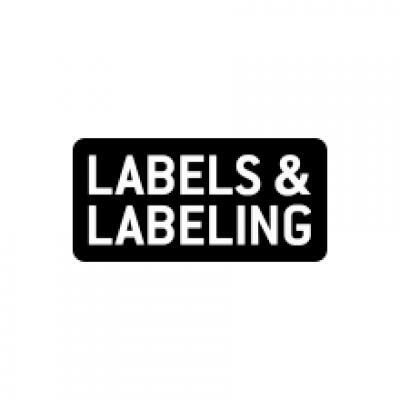 Currently, 95 percent of KZK’s work is labels, with substrates varying from paper to filmic materials like PE, PVC and PE. Platemaking is outsourced to local specialists DMS and the plates are then mounted in-house using cameras for accuracy. The company’s customer portfolio spans the food, chemical, automotive, brewing and wine growing industries, with a wide variety of job lengths from a few thousand meters to jobs that take several days to run-off. For short-run jobs of 1-2000 meteRs, KZK has both dry toner and inkjet print capacity in-house. Other offline finishing techniques include screen printing, hot foil stamping and inspection/rewinding. According to Kuda, the P5E is a world away from running the older legacy machines. The degree of automation and ergonomic design make it easy to run and with only 135cm web path between each unit, KZK has seen waste levels fall sharply.